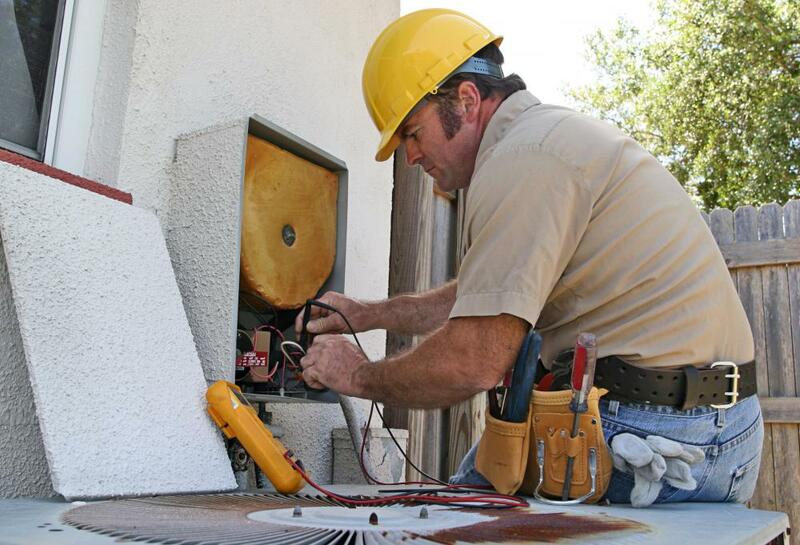 An HVAC technician can install, repair, and provide maintenance on heating and air conditioning systems. 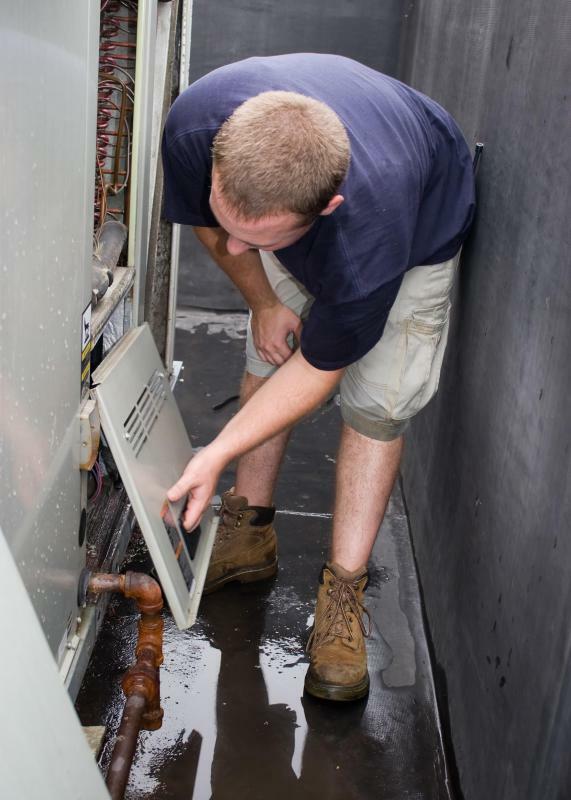 HVAC technicians install, repair and maintain heating, cooling and venting systems. HVAC technicians are expected to be skilled in air conditioner repair. An HVAC technician may repair or install home boiler systems. An HVAC technician is a professional that labors in the field of heating, ventilation, air conditioning service and support. He or she can install and repair systems, as well as maintain them. He or she may work as an independent contractor or be employed by a company that specializes in climate control solutions for businesses and residential properties. When an HVAC technician is associated with the installation of a new system, he or she will be proficient in reading blueprints connected to the installation, and will participate in the preparation of the space for the installation of the required equipment. This may also include ductwork construction and installation as well as the main components for the system. The HVAC technician will be responsible for making sure the installation is conducted in compliance with local regulations, and that the unit will provide efficient heating and air conditioning for the space. For HVAC technicians focused on maintaining existing systems, the focus is on inspecting each component in the system. This will include making sure that each portion of the overall system is still functioning within acceptable levels of efficiency. If a component is found to be wearing out or in danger of breaking down, the technician will engage in repairs to the unit that will correct the situation. An HVAC technician will also check for ventilation efficiency of the system and make adjustments if necessary. Any person can become an HVAC technician through study at trade and technical schools, as well as some junior colleges. Programs generally take two years to complete, and may also include an apprenticeship with a certified HVAC provider. Generally, an apprenticeship may last from two to four years, and may be conducted concurrently with the formal education process. Upon completion of the formal study, additional testing is administered before certification is awarded. What Is a Slot Diffuser? What is a Bench Technician? 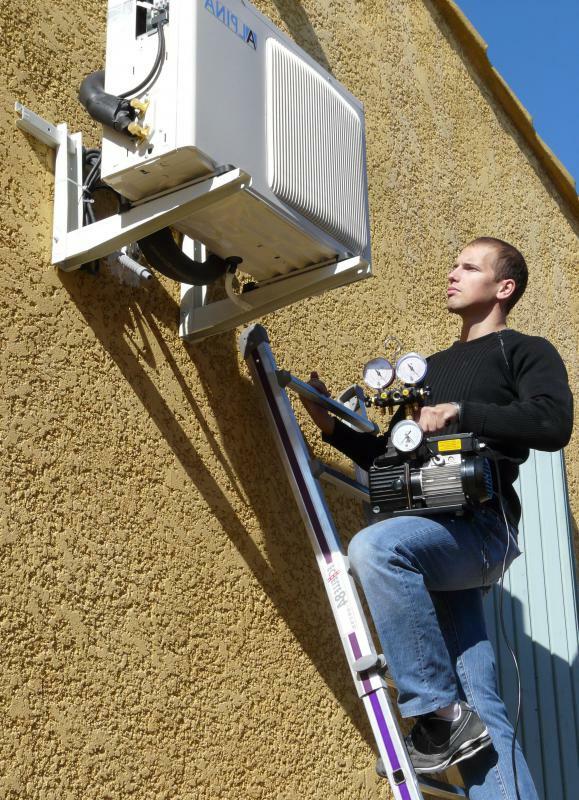 What does a HVAC Maintenance Technician do? What does an HVAC Service Technician do? I saw an ad on craigslist for an hvac technician with no job experience or anything required. Just learn on the go. While some places will prefer that technicians have a certification or degree, every place differs. Some techs can test for a certification based on knowledge and experience alone and still pass with flying colors, but it's best to check with your local college or even another HVAC technician in order to find out what's the right step to take to become qualified. The thing we should remember about HVAC techs is that not all of them -only- work on heating and cooling. It's Heating, Ventilation, and Air Conditioning. 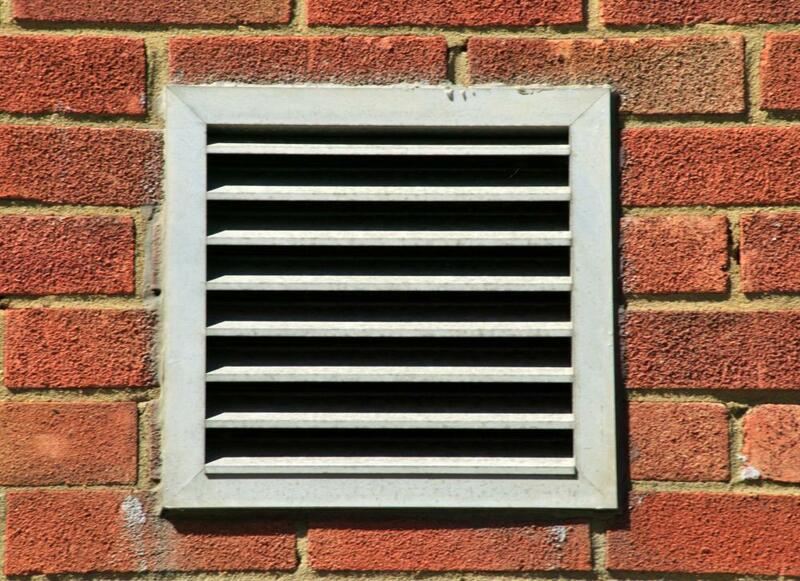 This means that they can also work on things like attic ventilation and refrigeration aspects. Many HVAC technicians have a Type I or Type II license (or in some cases both) that allows them to work on certain aspects of heating and cooling. These licenses also allow them to purchase special field-related supplies like Freon in order to do their job.